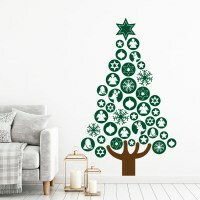 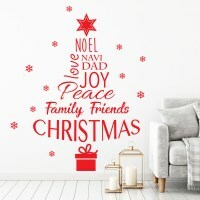 Christmas tree wall decal made of words and snowflakes. 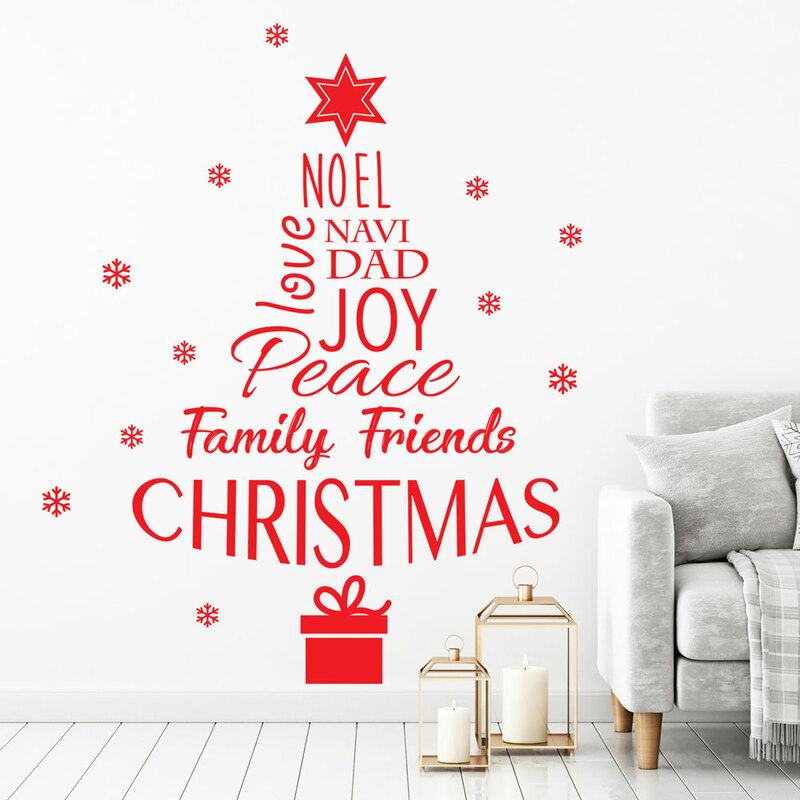 A fun alternative to a pine tree, this Christmas tree wall decal is made of words and comes with snowflakes to arrange as you like. 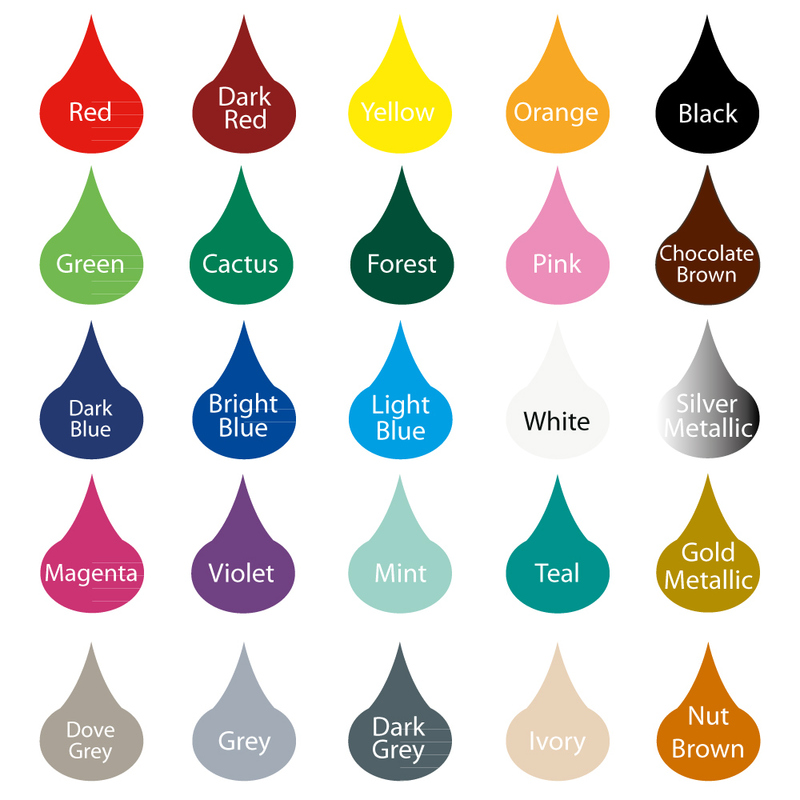 Choose the colours that better suit your decor!